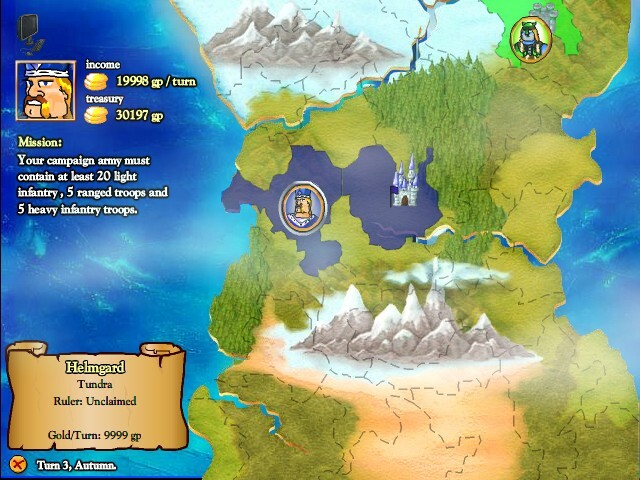 Strategy Fantasy Upgrade Fizzy Click to find more games like this. Cheat: Lots of skill points, gold. 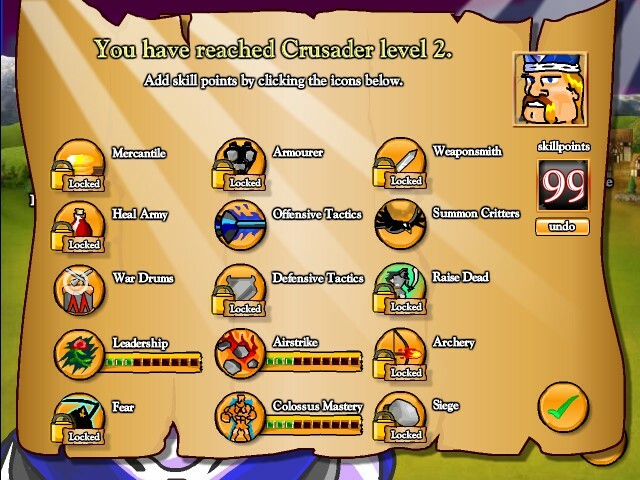 All units unlocked. 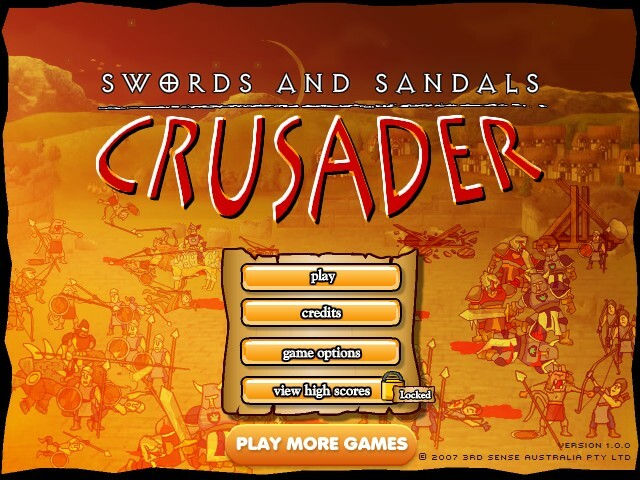 Your mission in this In this new part of the Swords And Sandals series is to conquer territories and fight against the other forces. 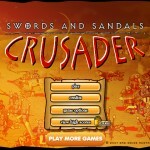 The Swords & Sandals world just got a whole lot bigger with the all-new Swords & Sandals: Crusader! Step out of the gladiator arena and onto the field as you lead hundreds of troops into battle against the toughest lords in the realm. 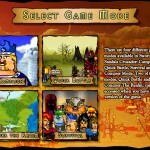 There are two game modes in this game: Campaign mode is a series of battles tied together via a sweeping story. 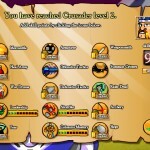 You will take control of each of the eight leaders and guide them through various missions. 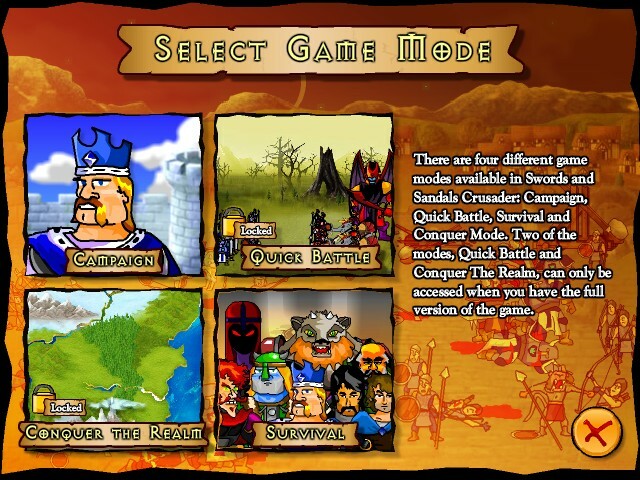 Survival mode pits you against the seven other leaders in combat. The game is controlled by YOUR MOUSE. Good luck!